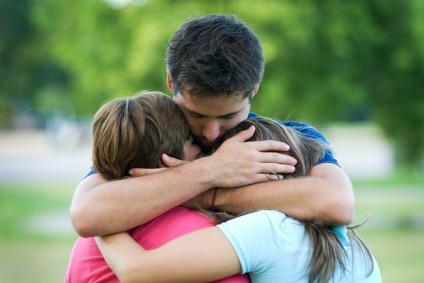 It's not easy to know what to do when an addiction intervention fails, but it's important for the family and friends of the addict to find their own sources of support in order to maintain the boundaries they established during the intervention. The addict's family and friends presented a united front. The process was guided by a substance abuse counselor who specializes in intervention work. The addict had recently engaged in a behavior with far-reaching consequences for which he felt remorse. Even when all three of these characteristics are present, sometimes the addict does not agree to go to treatment, or he agrees to go to treatment and then doesn't follow through. This can be very difficult for the family and friends of the addict who were concerned enough to make the intervention happen. If you've been involved in an intervention that didn't result in the addict agreeing to go to treatment, you might feel discouraged and have a sense of despair. Perhaps you wonder why you even bothered. This is the point where most people need to know what to do when an addiction intervention fails. To begin, it might be helpful to reframe the intervention for yourself. Even if the ultimate goal of getting the addict into treatment was not met, you communicated to the addict that the behavior is not acceptable, as well as the fact that family and friends will not continue to support the addict with their enabling behavior. In this way, you might consider the intervention a success because you've changed the rules for the addict and made him aware of this change. It can be difficult to maintain the boundaries that you established in the intervention without solid social and emotional support. When families plan an intervention, they are often drawn together by hope that the addict will agree to treatment. When the intervention does not produce the desired result, it's easy to let the shared sense of purpose fall away. Family and friends might go back to their own existence, isolated from each other. It's important to establish regular meeting times, even if they are infrequent, in order to continue to support each other. This also helps everyone maintain accountability to the boundaries they each established during the intervention. If you don't find a meeting at a location near you, check the appropriate website for online meetings because these can also be a good source of support. If the talk of a Higher Power bothers you, you can often find meetings for people who identify as agnostic. This information is usually included either in the meeting's description or the meeting name. Get in touch with the treatment center that you contacted to make treatment arrangements for your friend or family member and ask them about the availability of outpatient family treatment. Even if that particular treatment center is not able to offer support to your family, the staff may know of another facility that you can contact. Although you need to stick with whichever consequences you set for the addict if he or she refuses to enter treatment, it's only natural that you don't want to abandon your loved one completely, especially if the addiction has reach the stage where it has become life threatening. Speak with your intervention specialist as well as a physician to find out what your options are at that point. Planning an intervention that doesn't result in the addict immediately entering treatment can be very difficult for family members and friends of the addict. However, if you seek support for your own process and resolve to get well no matter what the addict does, in a sense you have made the intervention a success. .